The top expense: air travel. Travelling place to place with no steady job, people often ask how I afford it. Truth be told, free from a mortgage, bills, car insurance or any other obligations, there really isn't much to afford, especially when camping  and cooking between work. Then there's the work. I help out on someone's farm, then that someone and their farm provides me food and housing. It's like a barter system, no money, no W-4's or income taxes, no binding commitments. I just left a farm in Blairstown NJ, for instance, where I learned from enjoyable projects (like transplanting comfrey), lived in comfort and ate healthy, yet in three weeks I never spent a dime. If it's true what they say, a penny saved is a penny earned, then I'd say I'm quite a wealthy man. That doesn't count the growing list of work experiences, skills and personal contacts. Incalculable wealth. There are several websites that arrange such work exchanges. Workaway is one. Popular in South America, it guided my trip to Ecuador where I learned clay building, natural farming in the Andes and of the Incas. 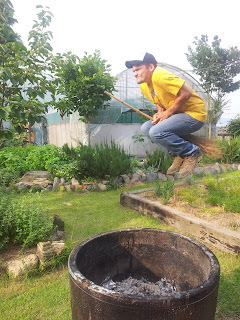 WWOOF is another, which brought me all around the USA, Australia and South Korea. I promote them rabidly any chance I get, such as the following article for the Compass, a magazine in Daegu, South Korea. Reprinted below, I've added new photos and captions below, for all my friends still in Korea, or anyone hoping to visit the beautiful, delicious country one day, which you all should. Imagine a means of travel where food, accommodation and local transport are all free, where educational and cultural experiences are guaranteed, where befriending and helping locals are its roots. For those that aren't familiar, let me introduce WWOOF, or Worldwide Opportunities on Organic Farms, an organization that arranges for travelers to live and work with farmers. So what does it cost you for such benefits? Your labor. But even that can be a reward in itself. 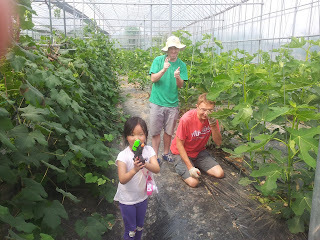 Tending a vineyard, feeding goats, harvesting persimmon for baking pies, and leading schoolchildren on a farm tour, these have been just a few of my WWOOFing experiences in Korea. Accommodations have varied from a private, traditional cottage in a rice field to a room in the host's modern farmhouse. Work hours have ranged from three hours to eight hours, and lengths of stay from two days to two weeks. It depends on the host (and your arrangement with them) which are diverse. Pine forests, beef farms, Buddhist temples—the Korean branch of WWOOF currently has 60 host farms throughout the country. While WWOOF Korea may be less established than the American or Australian branches, contributing may be even more worthwhile. I've WWOOFed in all three countries and I can honestly say that my experiences in Korea have been the most wholesome; the hosts have been the most hospitable and appreciative. A single farm visit will make clear that WWOOFing means more than just cheap travels for you and cheap labor for the farmer. For instance, while at Mrs. Son's Vegetable Garden north of Busan, she explained her motives to me and my fellow French, Irish and Japanese WWOOFers: her land-tied duties prevented her from traveling, so hosting WWOOFers was her sole source of worldly encounters. 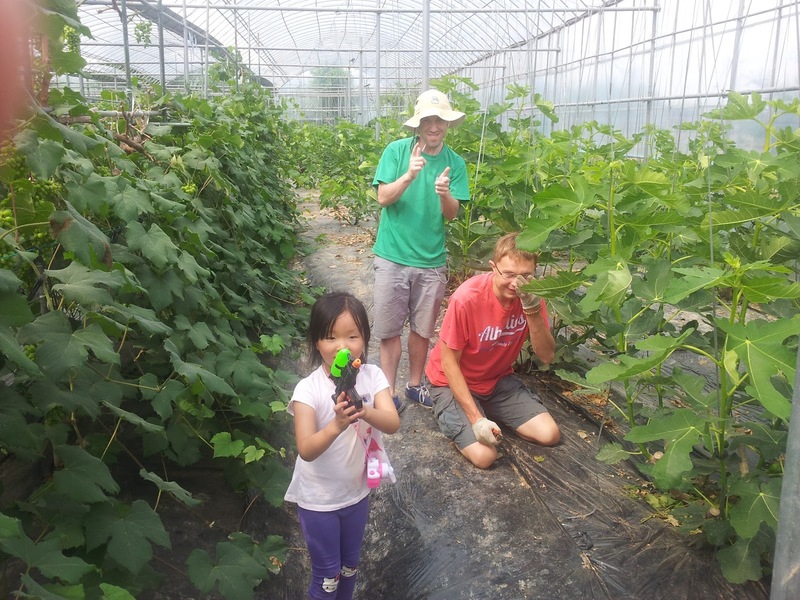 At Hansol farm in the beautiful Han River Valley east of Seoul, I saw how WWOOF helps in both mobilizing the region's organic farmers as well as publicizing the Korean branch of the Slow Food movement. 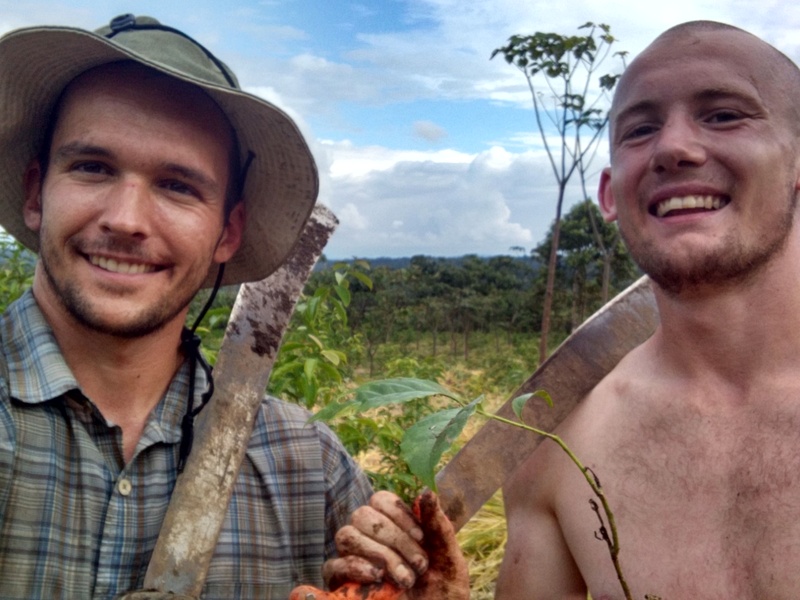 Wherever you WWOOF you'll be propagating its worthy causes: eat healthy, eat local, and practice sustainable agriculture. The fruits of such labors bring far more value to this country than any taxable wage. So how do you start? Go to koreawwoof.com, become a member (your modest $60/year dues help keep the organization running), choose a host farm by region or keyword search, and e-mail the host with a brief request and an explanation of who you are and why you're interested. Try to keep it simple though, not all hosts speak great English. 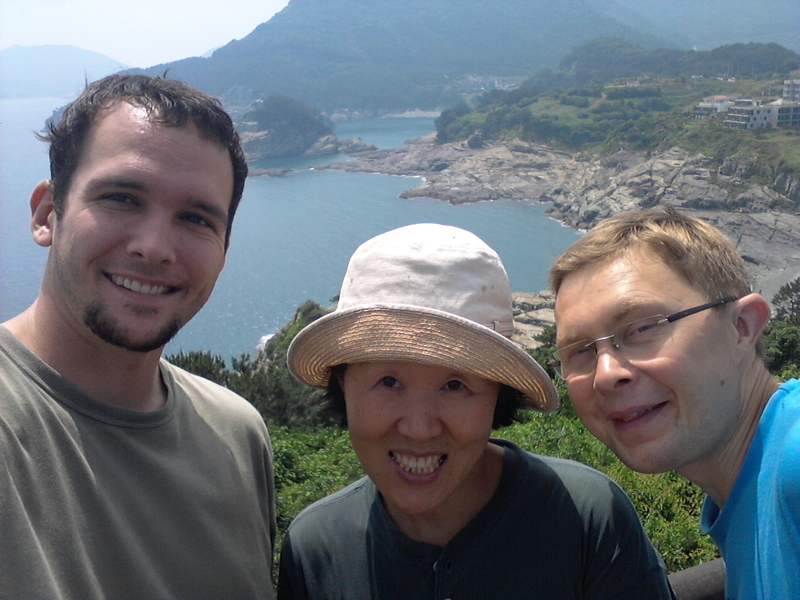 If you need any assistance with making arrangements, I've found the staff at WWOOF Korea to be incredibly helpful. Happy WWOOFing, and remember, the grass is always greener in the countryside! If you have any questions e-mail me (seandixonsul@gmail.com) or leave a comment.